Seventeen-year-old Tinley Hall takes a fall down the steep staircase in her family's restored Victorian home. When she becomes aware of her surroundings, she realizes she might be dead and she's not alone as her spirit haunts the old mansion that once was her home. 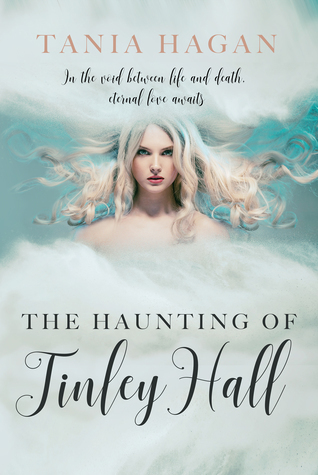 After meeting a handsome stranger, Tinley is forced to question if he's really a ghost and if she's really dead, but she knows something more complicated must be happening. 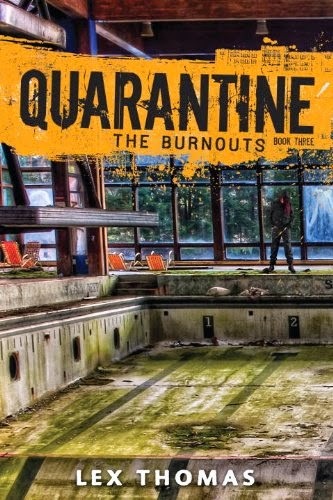 Will Tinley be able to pull herself through death's door, back into the land of the living? Or, will she even want to? As feelings for her companion grow into an otherworldly love affair, Tinley must decide if she's actually found her soulmate or if she just imagined the whole thing. Either way, she’s about to face the most difficult choice of her life … and of her death. I didn’t die easily. For me, death was pretty much like everything had been in my life—complicated and ambiguous. The day was dragging out like any other day. My little sister had been whining to my mother about summer camp since the night before, so I did my best to avoid them. My best friend was planning to spend the night, and she and her brother had been hanging out in our pool most of the afternoon. “I really hate him being here.” Ally rolled her eyes as she laid on her beach towel beside me. She nodded vaguely in her brother’s direction. I looked across the pool at the boy who had just pulled his long, lean body out of the water on the deep end. He shook his head for a second, sending splashes of water everywhere. As he ran his hand through his damp, dark brown hair, I had the slightest urge to go rake my fingers through it too. I batted away my thoughts. AJ Stockwell was the last boy I wanted to get mixed up with. Although he was undeniably gorgeous, he had run through a string of four girls during the last school year alone. When he wasn’t loving and leaving his girlfriends, he holed up in his room, building and painting ridiculous model boats. Besides all that, he was my best friend’s brother, so he was sort of off-limits from the get go. “Drooling? That’s extreme.” I flopped over onto my back again and sat up just as AJ walked by. “Oh. Hey.” I squinted up at him. “It takes one to know one.” Ally jumped to her feet, spewing probably the oldest and dumbest comeback known to man. Did he just blush? No, Tinley, that’s a sunburn. My parents had fired our weekly gardeners at the beginning of the summer. They were constantly leaving the back gate open, letting our Golden Retriever run free in the neighborhood. My parents thought my twelve-year-old sister was too young to handle the lawn mower, and my dad had been busy lately writing his latest novel. Plus, my mom swore she had never mown a lawn in her life. So it was up to AJ or me. I always talked them into opting for AJ. “Come on, Tinley.” Ally grabbed my hand and started tugging me away from the pool. “I’ll see you around then.” AJ winked in my direction as we were leaving. Ally dramatically rolled her eyes in response. “If she sees you first, even from a mile away, I promise you won’t see her around,” she teased her brother. “I will.” I stood still, despite Ally yanking on my arm. “Later.” AJ nodded to me one more time before he hopped our six-foot gate on his way out of our yard. Ally and I tossed on our flip flops before we went through the back door. My mom was really fussy about not getting marks on the floors, especially from pool water. My dad had just restored the original hardwood throughout our Victorian-era, five-bedroom house the previous year. Homes like ours dotted the Chicago suburb of Waybridge, and my parents claimed ours was one of the most authentic restorations in the area.